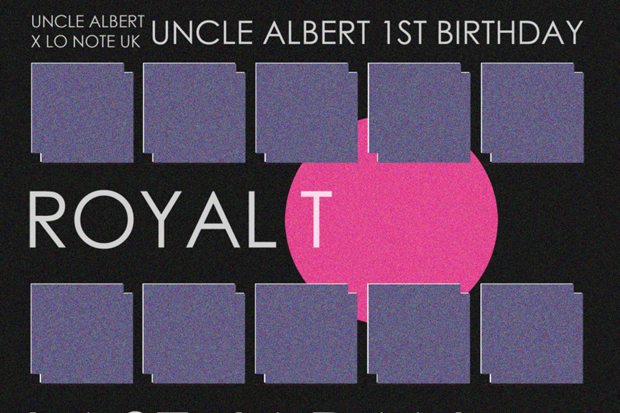 Music blog Uncle Albert celebrate their 1st birthday by partnering up with London’s clothing brand come record label Lo Note UK to throw a party at East Village. 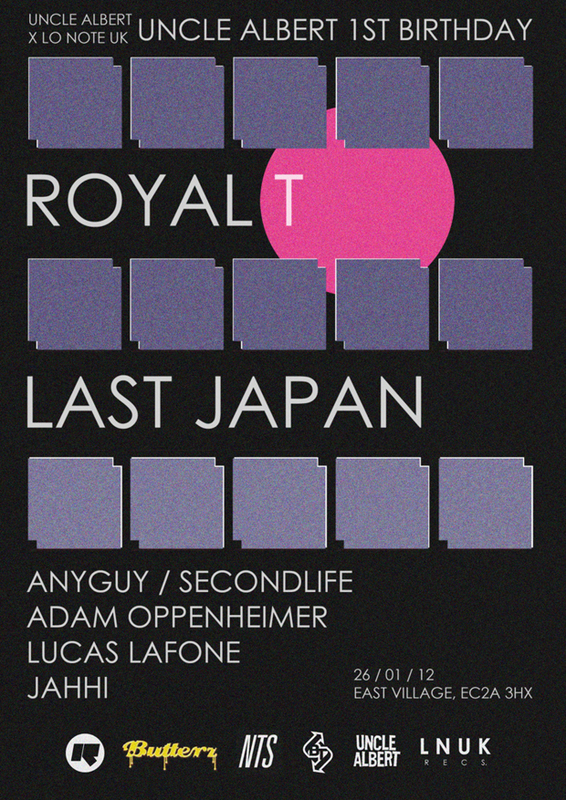 Featuring Royal T at the helm, supported by a plethora of Lo Note UK (LNUK) affiliates including AnyGuy, SecondLife and Last Japan, who is actually the next artist to be releasing on the already hyped London record label. It’s a great way to celebrate a multitude of occasions including Uncle Albert’s birthday and the recent debut release from LNUK featuring the works of Pusherman. You may remember Lo Note from when we announced the launch of their clothing brand back in August, and it’s great to see their record label launching to such similar heights of success as well. Head down to East Village tomorrow night where you can party for a fiver and support two great UK startups.